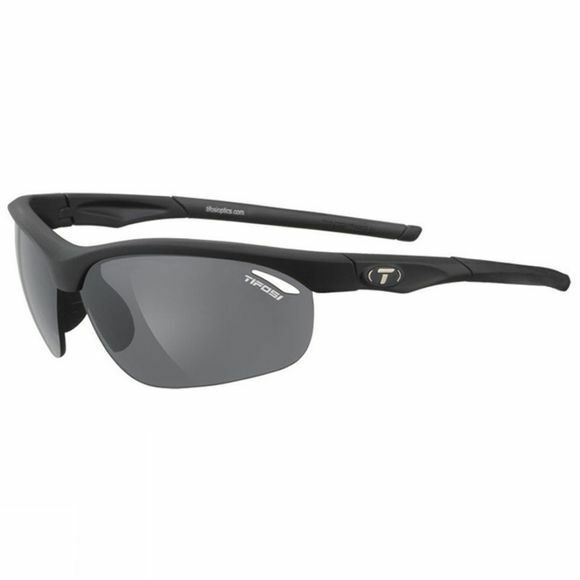 The Veloce Interchangeable Sunlasses are a great pair of All-sport glasses. The combination of lens' are perfect for Cycling, Golf, Tennis, and Cricket. The Smoke With Glare Guard (15.4% L.T.) is perfect for cycling when the sun is high in the sky and beaming down. The GT Lens (Golf/Tennis 16.4% L.T.) is the ideal lens for increasing contrast in full sun so you can easily spot your ball in flight. The EC Lens:(extreme contrast)39.1% L.T. is is designed specifically as a greens-reader, helping you spot subtle breaks on the green as you plan your next putt. With Hydrophilic Adjustable technology these glasses will sit perfectly on your head and won't be dislodged by sweat. Smoke With Glare Guard Lens: 15.4% L.T. Designed to increase grip when in contact with sweat. Hydrophilic rubber resists aging and UV breakdown. Adjustability allow for a customizable fit and increased wearing comfort.